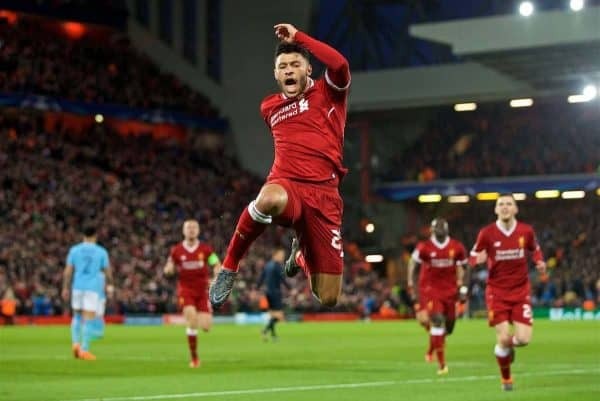 Jurgen Klopp has given a more accurate date for Alex Oxlade-Chamberlain‘s return, after the midfielder was included in Liverpool’s Champions League squad. The Reds named their revised selection for the knockout stages, with Oxlade-Chamberlain, Ki-Jana Hoever and Ben Woodburn all joining the group as Nathaniel Clyne, Dom Solanke, Pedro Chirivella and Kamil Grabara dropped out. With the 25-year-old sidelined since last season’s semi-final clash with AS Roma in April, this is excellent news for Oxlade-Chamberlain. 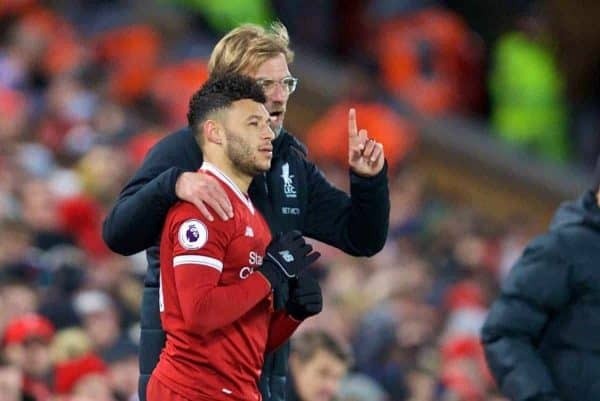 But while there have been mixed updates on when he will be back in full training and on the pitch, with the next two months both floated as possibilities, Klopp has explained when he is likely to return. His comeback is expected to be in April, with the manager using a potential semi-final as a marker for Oxlade-Chamberlain’s involvement. “If we get to the semi-final I think he is available,” he told reporters on Friday. “Maybe the quarter-final, I’m not 100 percent sure but he still needs time, that’s how it is. “But everything looks fine, now I wait for the green light from the medical department, ‘come on, throw him in parts of the session’. “We are not at that point at the moment, but when we are at that point then we will, not really push it, but that will help him a lot. “Then we see how he reacts and all that stuff. “But we only put him in the Champions League squad because we think there’s a chance for him to play. The quarter-finals will be played on April 9/10 and 16/17, while the semi-finals are set for April 30/May 1 and May 7/8. 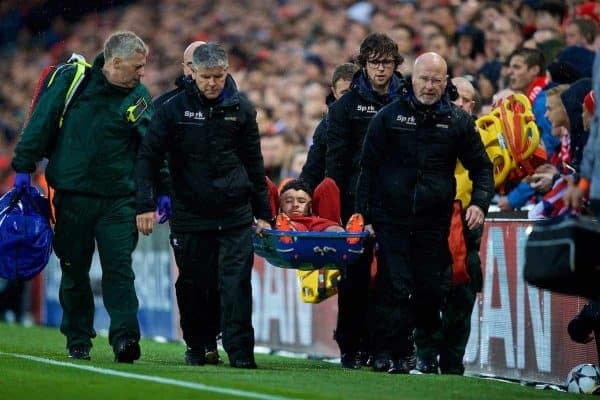 Given the long-term nature of Oxlade-Chamberlain’s layoff it is perhaps wise to remain cautious over his recovery, with Liverpool clearly eager to avoid aggravating his knee problems when he returns. His availability should still be considered a bonus for the Reds at any stage this season, but having the No. 21 back for the final weeks of the campaign would be a real mood-lifter.